Eric was born to a 16 year old mother as his father had left the family. He was raised by his grandparents and believed that his mother was his sister while his grandparents were his parents until the age of nine years old. Eric Clapton has won 18 Grammy Awards as well as Brit Award for Outstanding contribution in Music along with other awards and nominations. Young Eric would work alongside his grandfather as a laborer before he turned to music. His grandfather was a master bricklayer and plasterer. 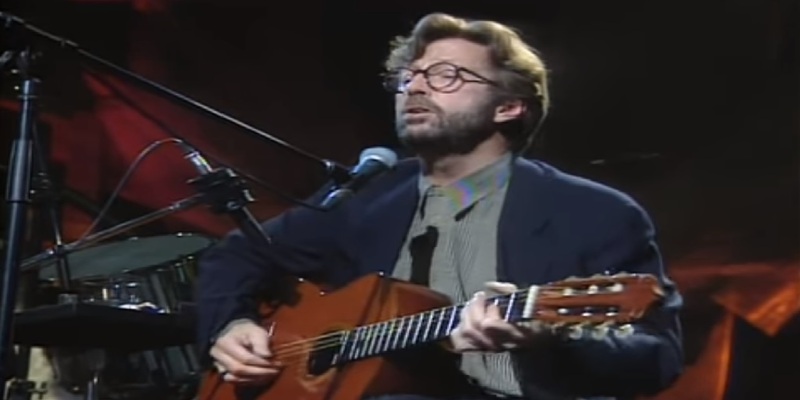 Eric Clapton also composed film scores as a second career during the 80s. 5- He’s a Ferrari Enthusiast and Collector Eric Clapton loved motor racing since his childhood and loved the sound of Ferraris while growing up. Now being worth more than $120 million, he owns a range of Ferraris. Eric Clapton is a fan of the West Bromwich Albion team. He also played a concert before one of their games in 1982. He had a son named Conor with an Italian model Lory Del Santo who died at the age of 4 and a half years old when he fell out of a bedroom window of a 53rd floor Manhattan apartment building. He wrote the songs “Circus has Left” and “Tears in Heaven” in his memory. Jimi Hendrix moved to London in 1966 hoping to make a name in the industry when he was introduced to the members of Cream. Eric admired Jimi’s playing and they both became great friends. They would go to different nightclubs together and would jam with the musicians in the bands. Eric Clapton is the only artist who has been inducted into the Rock & Roll Hall of Fame three times - as a member of Cream, Yardbirds, and as a solo artist. Harvard University has named the asteroid 4305 after Eric Clapton which is located in between Mars and Jupiter. The asteroid is called 4305 Clapton. Eric Clapton has struggled with drug addiction for years. After cleaning up, he opened his own rehab center on the island of Antigua. The rehab center was opened in 1998 and is called Crossroads. His famous guitar Blackie that he extensively used through 1970 to 1986 was constructed by himself. The body of the guitar was taken from a 1956 Stratocaster that he liked and the neck was taken from a 1957 Strat and the electronics were taken from another Strat. Fender introduced the replica signature model of the Blackie in 1988.